Employing cutting-edge Ward-Takahashi identity derivations outside their quantum-theoretical framework, JUGGERNAUT processes enormous data sets, ostensibly in the service of code-breaking once the technology is proven and refined. The unstable geniuses behind the math have reached some curious conclusions that only experimental evidence can confirm. By the numbers, JUGGERNAUT - given enough resources - should be able to crack ciphers before they are even invented. The game IS designed FOR 3-6 players AND a SESSION will typically LAST two hours, depending ON your style of play. The 6-page rules PDF IS available BY clicking "Publisher Preview" above AND provides detailed directions FOR how TO play the game. Rules are also included IN the cards themselves. 22 Job Summary Cards - simulated punch cards representing the Juggernaut machine's cryptic predictions of the future. 36 Additional Job Summary Cards - REPLACE the standard SET of Job Summary cards WITH these FOR EXTENDED replay value. 6 CHARACTER Cards - EACH of these cards IS a QUICK summary of ONE of the characters you'll play, including what he OR she thinks of the others IN the room. 6 Rules Cards - a QUICK SET of rules TO guide your play AND make sure everyone has fun. Please note that the deck currently comes without a box, banded IN a plastic sleeve FOR delivery. 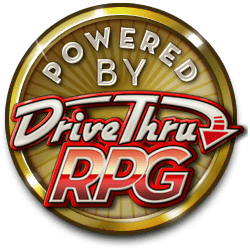 DrivethruCards offers a clear plastic deck box AS an additional OPTION FOR $0.99, so be sure TO ADD that TO your order OR plan TO pick ONE up AT your friendly LOCAL game store. IN addition TO the cards AND rules, you'll have access TO printable CHARACTER sheets (IN CASE you prefer larger handouts THAN the cards), a sheet of nametags suitable FOR printing ON Avery 5263 Labels, AND, most importantly, the soundtrack MP3- a short track TO be played ON a portable device EACH TIME someone draws a card, simulating the SOUNDS of the machine AT work.